Three years ago, Brittany Maynard’s viral video launched the issue of medically assisted suicide into the national spotlight. But while advocates have notched a few wins since then, they’ve also run up against some strong, bipartisan resistance. Two states — California and Colorado — have made it legal for doctors to prescribe life-ending medication to terminally ill patients since Maynard, diagnosed with an aggressive form of brain cancer, publicized her decision to end her life. Physician-assisted suicide is legal in six states, including Vermont, Oregon, Washington and Montana, as well as the District. Yet none of the 27 states where such measures were introduced this year passed them into law, according to tracking done by Compassion and Choices, a group that backs assisted suicide. The bills were either quashed in committee or passed one legislative chamber but not the other. That was the case even in states run by Democrats, including Connecticut, Rhode Island and Hawaii. New York’s highest court upheld the state’s ban on assisted death in September, ruling unanimously that the terminally ill patients who brought the case don’t have a constitutional right to obtain life-ending drugs from a doctor. Federal lawmakers, too, are pushing back against the controversial idea. A spending bill passed by the House last month would block the District's assisted suicide law, which went into effect in February. Eleven House members – including six Democrats — have introduced a resolution condemning the practice. A top concern about legalizing assisted suicide is that it could put financial pressure on patients to choose that option instead of treatment, if their insurer covers life-ending medication but not life-extending therapies. Another is that it could be chosen by patients just as they’re most susceptible to depression while they’re fighting aggressive illnesses. That’s what prompted J.J. Hanson, a 36-year-old former staffer to New York Democratic governors Eliot Spitzer and David Paterson, to form a group called the Patients’ Rights Action Fund as he fights Stage 4 glioblastoma, the most aggressive form of brain cancer (the same cancer diagnosed in Maynard and now Arizona's GOP Sen. John McCain). When Hanson was first diagnosed in May 2014, his doctors gave him four months to live. He has since responded well to aggressive treatment through chemotherapy, radiation and immunotherapy. But that didn’t happen right away. In the fifth month of treatment, while confined to bed in a weakened state, Hanson had thoughts of giving up, his wife Kristen told me. Still, Americans support legalizing physician-assisted suicide at historically high rates. 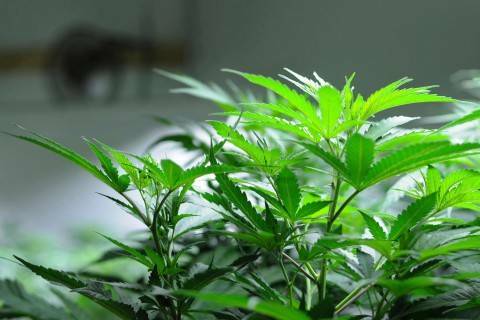 A Gallup poll in May found that 67 percent of respondents say it should be allowed, up from 56 percent a decade ago. Kristen said the issue isn’t one she and J.J. ever seriously considered until J.J. was facing a terminal illness. Now she’s convinced that public opinion could be shifted by explaining it could put emotionally vulnerable patients at risk — and persuade insurers to cover lethal medications instead of more expensive but lifesaving treatments. 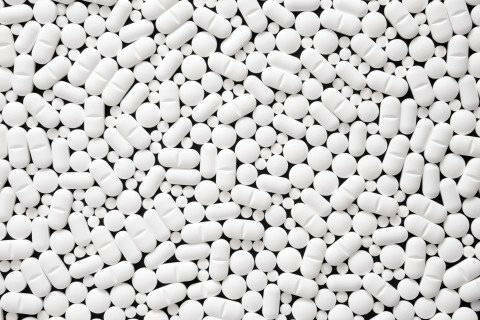 AHH: This week, the Trump administration will actually, officially declare the opioid crisis a national public health emergency, followed by a Thursday address by the president on combating the epidemic, Axios reports. The administration-wide effort, which involves a massive advertising and public relations campaign, will include Melania Trump and the president's daughter Ivanka -- and Congress, because there will be a request for funding, Mike Allen and Jonathan Swan report. OOF: Former congressman Patrick Kennedy (D-R.I.), a leading advocate for mental health who is on Trump's opioid commission, told The Washington Post's Greg Sargent in a surprisingly blunt interview that he's worried the president will blow it on responding to the opioid abuse crisis. Although Trump has promised to declare it a national emergency, Kennedy and others are increasingly worried the administration will not actually follow through with a robust response — and they're increasingly annoyed by the efforts of people inside the administration who are resistant to such a response. Kennedy “candidly described the mood on the commission as one racked by pessimism about the president’s willingness and ability to follow through with a response that matches the scale of the human disaster that has unfolded,” Greg writes. Kennedy said he's worried that Trump won't adopt a final set of recommendations the commission is set to release Nov. 1. Apparently so is New Jersey Gov. Chris Christie (R), head of the commission. Kennedy said Christie has confided to him that he thinks failure on the opioid crisis could deal a debilitating blow to Trump's presidency. “Christie doesn’t mince words,” Kennedy said. “He said, ‘If he doesn’t recognize this as the issue of our time, his presidency is over.’" Kennedy added that Christie, an early supporter of the president, said he had conveyed a version of this sentiment to Trump himself. (1/2)The comments attributed to me today in WaPo by Congressman Kennedy are false. I speak for myself on this issue. Let me be very clear. (2/2)I know that POTUS supports fighting this epidemic aggressively. In the days ahead, his actions will speak louder than anything else." OUCH: Elton John -- who founded an AIDS foundation and is an advocate for HIV research and treatment -- has joined the ranks of the outraged against comments made by Betty Price, a Georgia lawmaker and wife to former Health and Human Services Secretary Tom Price. Last week in a committee hearing, Price appeared to suggest those with HIV should be quarantined. “What are we legally able to do? I don’t want to say the quarantine word, but I guess I just said it,” Price asked the head of the Georgia Department of Public Health’s HIV Epidemiology Section. 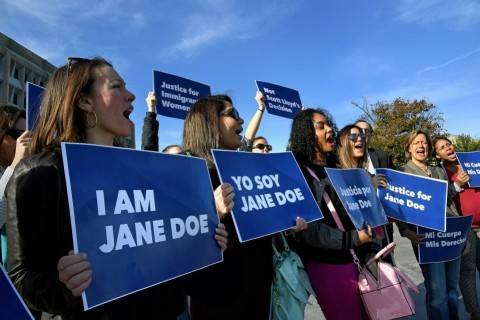 --Yesterday, Iowa yanked its request to waive some ACA rules to help its struggling marketplace, after federal officials failed to approve the state's plan in time for enrollment season that begins a week from Wednesday, The Post's Juliet Eilperin and Amy Goldstein report. The state’s withdrawal comes two months after President Trump telephoned a top federal health official with instructions to reject Iowa’s proposal. Iowa Gov. Kim Reynolds (R) didn't mention the president’s intervention as she announced the withdrawal of what the state has called a crucial "stopgap" plan to prevent its marketplace from collapsing, instead thanking Trump for trying to repeal the ACA and blaming the law itself for what she called its inflexibility. "The decision adds to turmoil surrounding the sign-up for 2018 coverage in the state that had gone further than any other in trying to jettison ACA rules and create an alternative for residents to buy insurance on their own," Amy and Juliet write. "Iowa officials already had readied state computers for the switch, and the one company left in the insurance marketplace has been planning to raise its premiums by a whopping average of 57 percent....For several months, Iowa’s insurance commissioner, Doug Ommen, has been saying that he and his staff were working closely with federal health officials, who he said had told him by late August that the proposal met federal requirements." Yesterday Ommen reiterated his prediction that, without the state’s alternative method in place, up to 22,000 Iowans will lose coverage next year because only one insurance company has agreed to sell ACA coverage, and its prices are high. “The healthiest are the first to go,” he said. It may be true that Trump wanted to kill the Iowa waiver. But it’s nearly a certainty that the Obama administration would have rejected it. At one point, it looked as though there would be some "bare" counties with no insurer in Iowa, but only for a brief period. --Meanwhile, Sen. Lamar Alexander (R-Tenn.), who is still seeking a vote on his bipartisan legislation with Sen. Patty Murray (D-Wash.) to stabilize the ACA marketplaces, said that measure would have given Iowa the flexibility it had to otherwise seek from the federal government. “Iowa’s decision is further evidence that the Affordable Care Act is too restrictive to allow states to help people who need to buy insurance. The so-called guardrails have become road blocks. The Alexander-Murray bipartisan legislation...would allow the Secretary of Health and Human Services to approve Iowa’s waiver as originally submitted," Alexander said in a statement yesterday. --Today, President Trump will make his first-ever visit to the weekly Senate GOP lunch, where Republicans are hoping for more clarity on whether he supports the Alexander-Murray deal to improve Obamacare marketplaces. Majority Leader Mitch McConnell (R-Ky.) has said he'll bring it to the floor if he is assured of support from the president. But so far, Trump hasn't indicated whether he thinks the Senate should vote on the measure as a stand-alone bill, or roll it into a spending bill at the end of the year. "It's safe to say the president's been unclear," said Sen. Shelley Moore Capito of West Virginia told Politico's Jen Haberkorn. Alexander said "the White House has the ball right now." And No. 2 Senate Republican John Cornyn (Tex.) said he's "with the president" but threw up his hands and disappeared into the chamber when asked to explain Trump's position on the matter. --HHS has responded to a report from "Get America Covered" -- which The Health 202 covered yesterday -- estimating 1.1 million fewer Americans may enroll in Healthcare.gov because of the administration's 90 percent advertising cuts. Agency spokesman Matt Lloyd said more marketing won't convince Americans to sign up for "failed coverage they cannot afford or that does not meet their needs." “As Obamacare enters its fifth open enrollment period, it is clear that massive advertising campaigns have not delivered substantial gains in coverage on Obamacare’s exchanges," Lloyd said in a statement. "Last year, fewer Americans bought Obamacare coverage despite the previous Administration nearly doubling the advertising budget." --It plans to spend $10 million on promotional activities in order to meet the needs of new or returning ACA enrollees, an amount the agency says is consistent with promotional spending on Medicare Advantage and Medicare Part D.
--During the prior open enrollment period, CMS doubled Obamacare ad spending but saw first-time enrollment fall by 42 percent and effectuated enrollment decline by approximately 500,000 people. --In 2015, CMS spent $51.2 million on Obamacare advertising and 9.6 million people bought coverage on Healthcare.gov – a cost of $5.31 per enrollee. The following year, CMS spent approximately $100 million on Obamacare advertising and outreach and 9.2 million people bought coverage on Healthcare.gov – a cost of $10.95 per enrollee. --More than 41 million Americans are enrolled in Medicare Part D while another 19 million are enrolled in Medicare Advantage. Their combined advertising budget is $9.7 million. 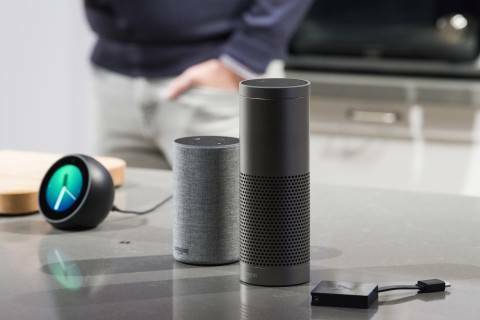 Amazon has sold more than 15 million Echo devices and now owns 75% of the smart-speaker market, which puts it on the front line of early-stage AI therapy, in which a device is asked to respond to extremely personal questions and requests by its users. 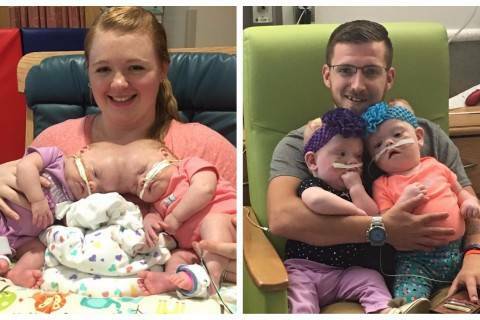 Conjoined twins survived one of the world’s rarest surgeries. Now they’re preparing to go home. "We cannot wait to see what their future holds!” their mother, Heather Delaney, said. Finally, a degree in marijuana: But it’s not for stoners or slackers. Northern Michigan University's bachelor of science degree requires courses in soils, physical geography, accounting and organic chemistry. The federal government is opposing the request. POST PROGRAMMING: The Washington Post hosts a kick-off event on Wednesday for The Health 202’s Live series with lawmakers and leaders in the health care community. Register here and sign up for a live stream notification here. The Hill hosts an event on America’s Opioid Epidemic on Aging and Addiction. The Alliance of Community Health Plans pharmacy directors meet with members of Congress, CMS and FDA starting today on the cost of prescription drugs and the role of community health plans in the curbing opioid epidemic. The House Energy and Commerce Subcommittee on Oversight and Investigations holds a hearing on HHS’s Public Health preparedness for and response to the 2017 hurricane season. The House Energy and Commerce committee holds a hearing on federal effort to combat the opioid crisis on Wednesday. The NIHCM Foundation hosts a briefing on Capitol Hill on “Transforming Health Care to Drive Value” on Friday.